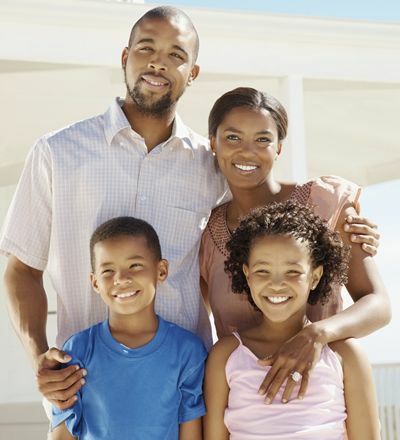 Keeping you and your family safe is a big deal. But sometimes, it's the little changes you make that add up to a big difference. We've collected these residential security tips to help every member of the family feel safe and secure. Inspect smoke and carbon monoxide detectors for dust and lint build up that can hinder sensors. Whether you are buying, building or just remodeling your home make sure to select roofing that is fire resistant. If possible, install a locked mailbox at your home and never put outgoing mail containing personal information in an unsecured out-box or in your mailbox for pick up. To help prevent tipping off burglars, if you plan to be away from home for an extended period of time, set your phone ringer to the lowest volume. Never leave notes on your door for service people or visitors when you are not home. It's a signal to burglars that the home is empty. If your power goes out, a full freezer can hold food safely for up to 48 hours. It is recommended to have interconnected smoke alarms. These alarms are linked together; if one alarm is triggered they all go off. Never attempt to charge non-rechargeable batteries. Attempting to recharge non-rechargeable batteries could cause the batteries to explode. Oily rags can easily combust, even without being exposed directly to a flame. Hang them outside to dry, and then throw them away in a metal can with a lid when finished. 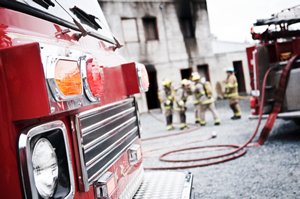 Fire Prevention Canada reports that despite the fact that fewer fire losses are reported in Canada, on average eight Canadians die as a result of fire every week. Read these tips to find out how you can protect yourself from such a tragedy. The following are fire safety tips we have put together based on recommendations from Fire Prevention Canada, a non-profit organization whose primary mission is to increase visibility and awareness of fire prevention throughout the country, by educating the public directly and through the Fire Service. Taking precautions to prevent cooking fires will significantly help protect your family and home against fire. “Cooking-related fires are the No. 1 cause of home fires in Canada, resulting in many deaths and hundreds of injuries each year,” states Fire Prevention Canada. “Don't leave cooking appliances unattended when in use, and be very cautious when cooking with oil. All cooking fires are preventable, so remember to select the proper heat setting for the food being prepared and keep your stove top clean and clear at all times.” You and your guests will be pleased with the results!